Keeping things simple is the way we’ve always done it. We’re a family-owned-and-operated company, and despite the fact that we carry some of the most unique and highly coveted items anywhere, we have managed to maintain the same friendly, family feeling that we had when we started out. That’s a pretty long time depending on how you look at it, since our owner, Alan Shope, has been in the auction business since he was seven years old! We always strive to deliver high quality service because we take pride in our work and want you to have the best auction experience you can have. 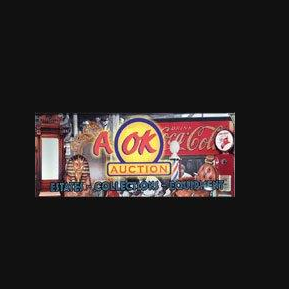 As a leading provider of auction services, we take pride in offering the best auction experience you'll ever have, and are dedicated to serving the needs and desires of our customers each and every day. Our clientele is very important to us and ranges from the East to West Coast. We keep a computerized data base listing client's collecting preferences, and items of special interest to them. We invite you to call next time you wish to sell your real estate, one item, a collection or an entire estate. Personal treatment is our way of doing good business, so feel free to contact one of our helpful staff members at our Abingdon location if you have any questions about us. We buy and sell antiques, appliances, collectibles, modern furniture, tools, silver and gold, tin toys, antiques, and even entire estates. With a great location to serve you and your schedule, one of our great auctions is right around the corner. We are now accepting consignments, for further details please contact us.